Our school is located in a historic home overlooking Maiden Cove. Our unique environment offers a private beach, a town park within walking distance, and a large fenced in play area. Please visit our PROGRAMS tab for a complete list of our program options. For more information please visit the CONTACT US tab or call us at 207.799.8875. 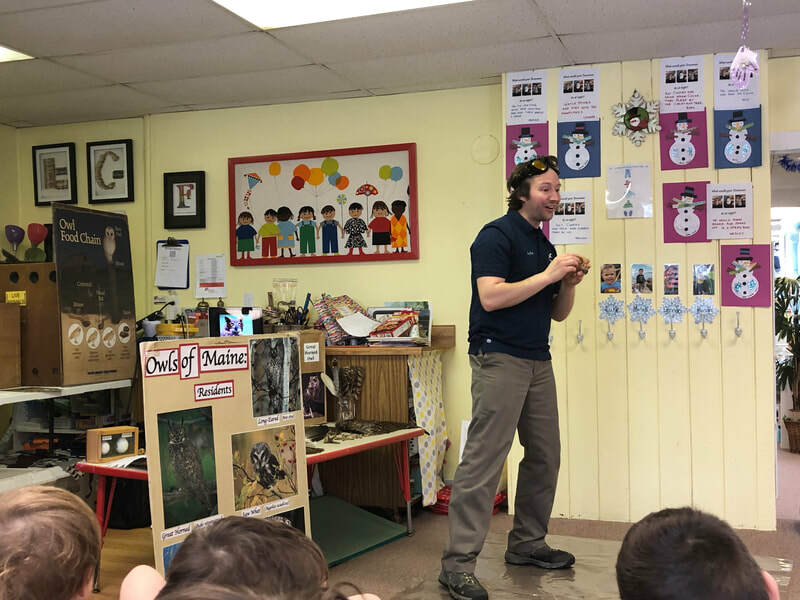 January 2019 | The 5+ class presented their Animals in Winter Reports! In January, the 5+ class learns about what animals do in winter. Do they migrate? Adapt and stay active? Hibernate? Each student chooses an animal to learn about and non-fiction books are sent home with a list of questions to research. We use this research to write and illustrate a report, create their animal out of Model Magic and that animal's habitat in winter. The kids learn SO much and after they read their report to the class, we celebrate with a Hot Chocolate Pajama Party! 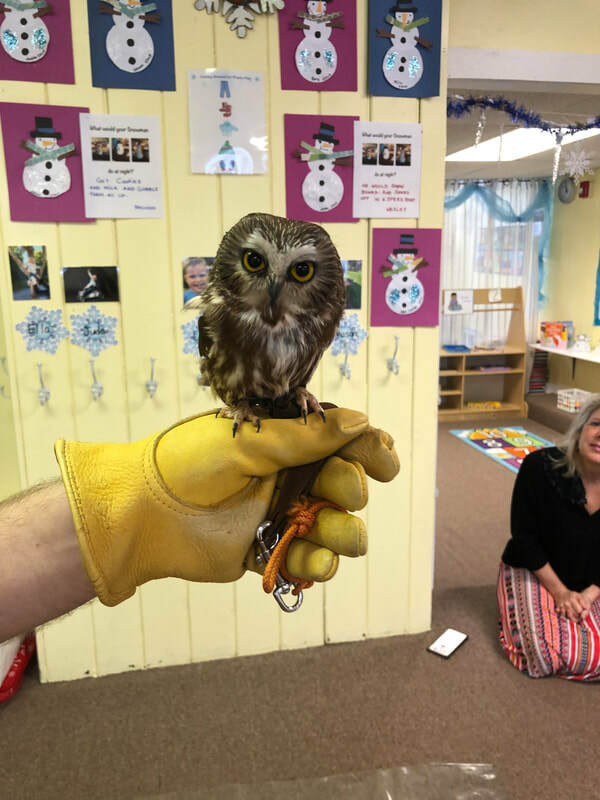 January 9, 2019 | Chewonki Owl Program comes to Maiden Cove! Kyle brought Boo, the Saw-Whete Owl, Ozzy the Screech Owl and Sparky the Great Horned Owl to visit the school on Wednesday. 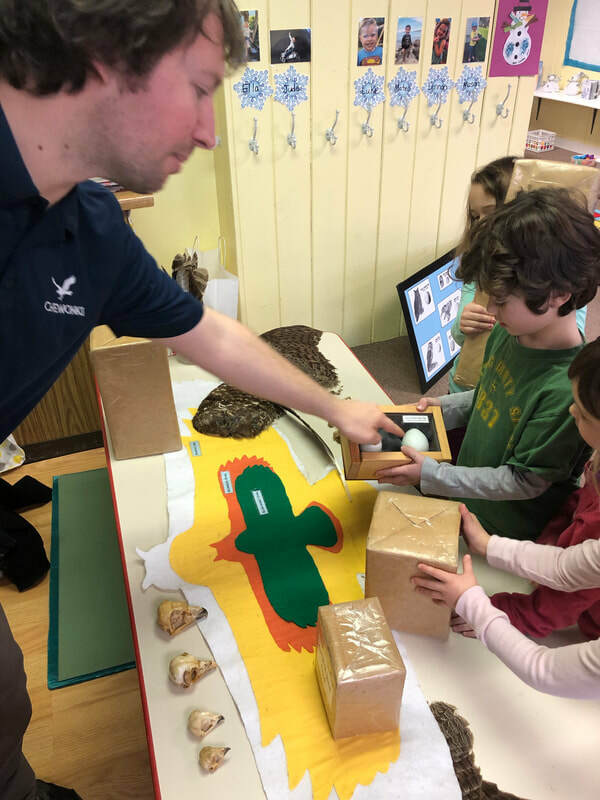 He did a wonderful job teaching our students all about these majestic, nocturnal birds. 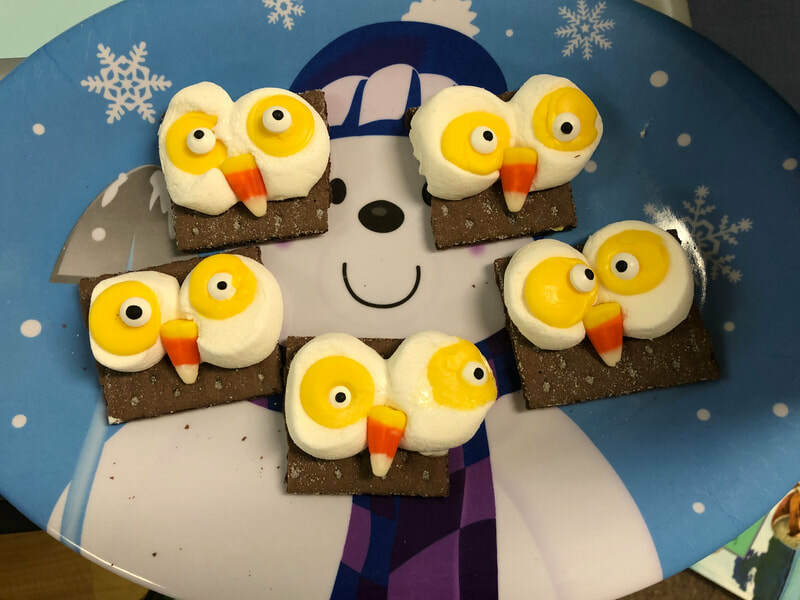 Mrs. Berg even made the kids a special owl snack! 5+ decorated gingerbread houses and gingerbread men after their Holiday Book Swap! The kids made Friendship Soup, Cornbread and Apple Crisp for the feast. After the concert students and families enjoyed a feast together! The kids sang four Fall/Halloween songs then listened to a Halloween story read by one of the residents, had snack and played games. October Fun in the Half Day Classroom!